Motorists in Ireland are more often than not faced with four seasons in a day. We live in a country where on average it rains a lot, meaning road conditions can be hazardous – especially when a downpour follows good weather, as roads are at their most slippery when the weather breaks after a dry spell. To keep you safe on the roads, here are some tips for wet weather driving. All new cars produced since 2011 have Daytime Running Lights (DRLs), which come on automatically when the car starts. Research has shown that using DRLs can reduce collisions by 5 to 15 per cent but when it is lashing out turning on your dipped headlights as well as your DRLs (if your car has them) can greatly improve your visibility to other road users and pedestrians. High headlight beams reflect off the rain, which makes it even harder for you to see – so only use high beams when absolutely necessary. To reduce glare from the lights of following vehicles, switch your rear-view mirror to the ‘night’ position. Turn on the air-con as this will dry out the air. If you can, aim the vents at the windows and turn the heat up. The hot air will dry the glass through evaporation, however the air will then cool down and condense on the glass, so keep the A/C on to keep the atmosphere inside dry. If you drive through water that’s deep enough to get your brake shoes wet, apply the brakes lightly to dry them. It is better to test and dry your brakes in a controlled manner now before you need to use them to come to a stop. In dry conditions, the standard distance between your vehicle and the vehicle in front of you is two seconds – about as long as it takes you to say ‘only a fool breaks the two second rule’. In wet conditions, this distance should be doubled at least. It really does take twice as long, if not longer, for your car to come to a stop when driving in the wet. If travelling at 60kph, stopping distance under dry conditions is 32.4 metres but under wet conditions this increases to 48.5 metres (that’s about one-half the length of a football pitch). That’s a lot of distance to cover before coming to a stop. This is so obvious, but to reduce the chances of accidents, collisions and skids you should reduce your speed. The slower your vehicle is travelling, the shorter the stopping distance. Sudden braking, acceleration, swerving and turning can unbalance the car and increase the risk of skidding – so take it steady and try not to overtake unless it is absolutely necessary. If you do decide to overtake, make sure you signal, turn your wipers on full to compensate for the spray and pull out when there is a bigger gap than normal. Remember, other cars may not be able to see you as well as you can see them. Changes in driving behaviour in wet weather are, apparently, insufficient to compensate for the greater risk of crashes during bad weather. So sometimes, even if you are doing everything right, accidents can happen. If your car begins to aquaplane here’s what to do. Aquaplaning is as if your car is skimming the surface of the water and losing grip with the road. Usually the steering will go very light and unresponsive and you may be able to hear the water roaring inside your wheel arches. It is quite a scary experience but all you need to do is stay calm, gently take your foot off the throttle and do not brake. Allow the car to slow down by itself. If using cruise control, turn it off with the switch not the brakes. Allow the car to find traction again and then gently move the steering wheel straight ahead, to the direction of travel. Once you feel the friction and traction return you can brake gently if needed. Our tyres perform a number of vital functions on our cars. They allow us to accelerate, steer and brake safely, and they allow us to do it on all road surfaces in all weather conditions. 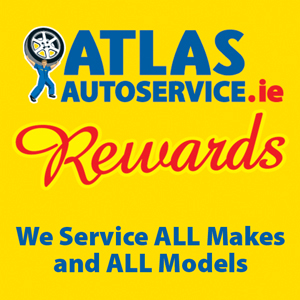 If you arent sure if your tyres are up to scratch drop into any of the Atlas Autoservice branches and we will take a look for you.